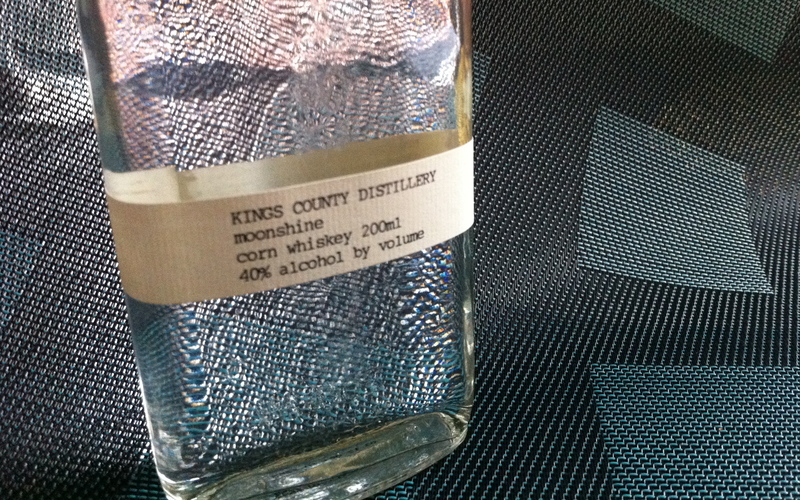 One of the cooler prezzies I got this year for my birthday was this bottle of Kings County Distillery corn whiskey, better known as moonshine. Distilled right here in Brooklyn, New York, it ups the ante in my growing push to eat more locally. Now I’ve got to think about drinking locally, too.